Yes, we could have called them coated, or covered, but we love the sumptuous sound of ENROBED………. Mmmmmmm! 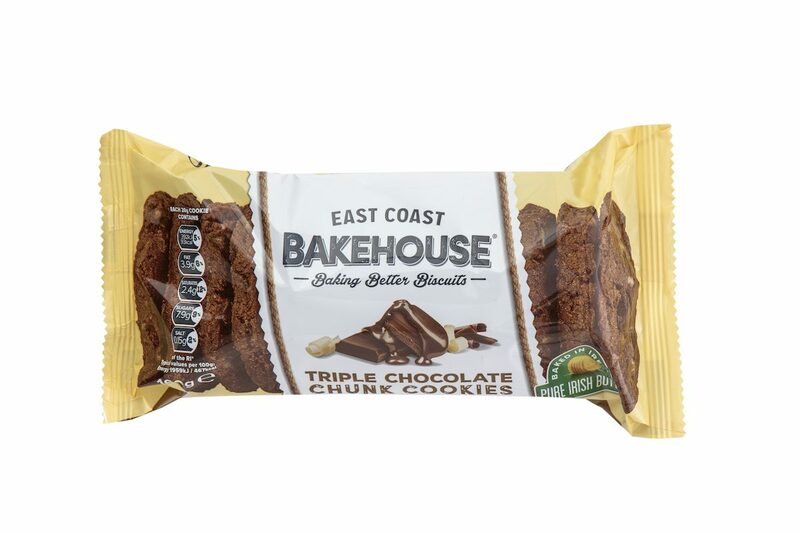 We’re delighted to announce another new arrival, East Coast Bakehouse Triple Chocolate Chunk Cookies – brimming with milk, dark and white chocolate chunks in a crumbly dark cocoa dough. Just yummy! 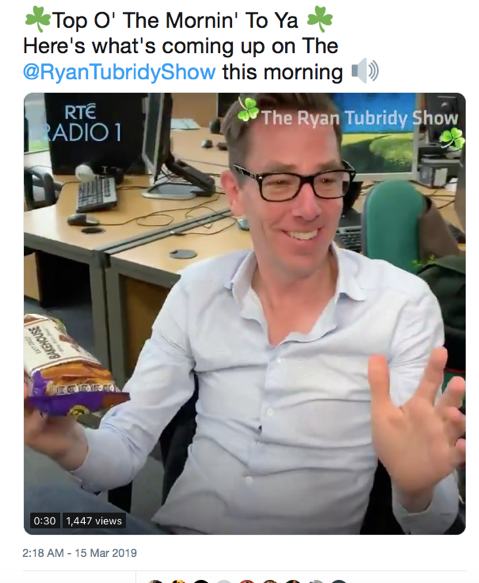 Available now in Dunnes and Supervalu nationwide. 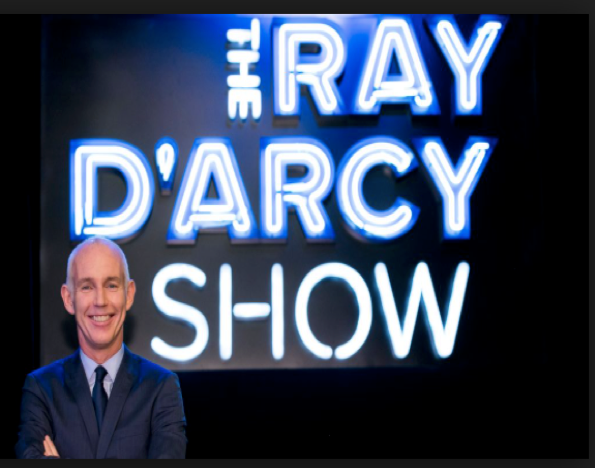 We’ve also been hob-nobing with RTE’s Ray D’Arcy Show. The One for Everyone in the Audience prize last Saturday was a hamper of East Coast Bakehouse Biscuits.